Since the moment the idea of Playa Nicuesa Rainforest Lodge was conceived, sustainability has always been one of our primary goals. This wilderness lodge was sensitively designed with the environment in mind, and constructed from naturally fallen trees, recycled materials and harnesses the natural energy from the sun to provide electricity. Since the hotel opened in 2003, our strong efforts dedicated to operate in peace with nature and the local communities have been constant. Our daily operations focus on environmental education to guests, employees and communities, as well as improving our every day practices through experimentation of new sustainable techniques. 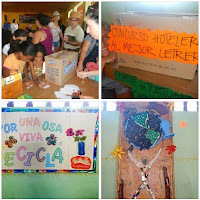 In conjunction with the community outreach projects that Playa Nicuesa promotes continuously, we know that year after year the sustainability experience in our hotel is exceptional and inspiring. 2012 has proven to be an outstanding year with regard to sustainability at Playa Nicuesa! We are VERY proud to share our biggest achievement of this year: Playa Nicuesa has been awarded the highest level of the Certificate of Sustainable Tourism (CST) â€" five out of five leafs! The Costa Rica Tourism Board has recognized all of our hard work on, and dedication to sustainability. This certificate is given to businesses of the tourism sector, based on the degree to which they comply with a sustainable model of natural, cultural and social resource management. CST consists of a scale of 5 "levels" of sustainable tourism achievement and is regulated by the Costa Rican National Accreditation Commission. Up until 2011, Playa Nicuesa had been awarded 4 levels of sustainability. And, last year, after an exhaustive evaluation performed by members of the Costa Rica Tourism Board, we were honored to receive the 5th and highest level! Learn more about the Certification for Sustainable Tourism (CST) Program. Award Another award which we are also proud to announce that we have been awarded each year since 2009 is the Ecological Blue Flag for our beach front. This National award recognizes Nicuesaâ€™s efforts towards environmental education of our Nicuesa employee family and communities nearby, as well for maintaining our beach clean and safe for visitors. This past year we experimented with organic agriculture. Thanks to our improved composting system, and organic supplements, the fruit garden surrounding the solar drying room is thriving and providing Nicuesa guests organically homegrown, cassava, star fruit, sour guava, lime, sugar cane, pineapples, Brazilian guava, passion fruit and papaya! In addition to our regular compost, we now have worm-compost, also known as the 'gourmet' of composting. In this very unique composting system, the worms eat the organic waste and transform it into very rich and nutritious fertilizer. Learn more about our Sustainability Programs. Every year Playa Nicuesa feels grateful for our guests that kindly make donations towards the conservation and social programs that Nicuesa supports. 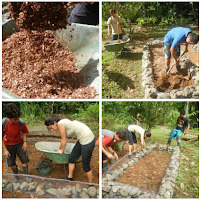 As a result of donations received and matching of funds by Nicuesa, in 2012 we contributed to several different NGO's and community programs as such as PRETOMA, MarViva, ASCONA, Osa ConservaciÃ³n, Yaguara, and Ministry of Environment. Click here for more information about these NGOâ€™s. 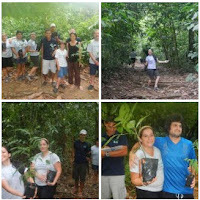 Thank YOU for all your past and continued support of Playa Nicuesaâ€™s Sustainability efforts!! We wish you a very sustainable 2013!! !